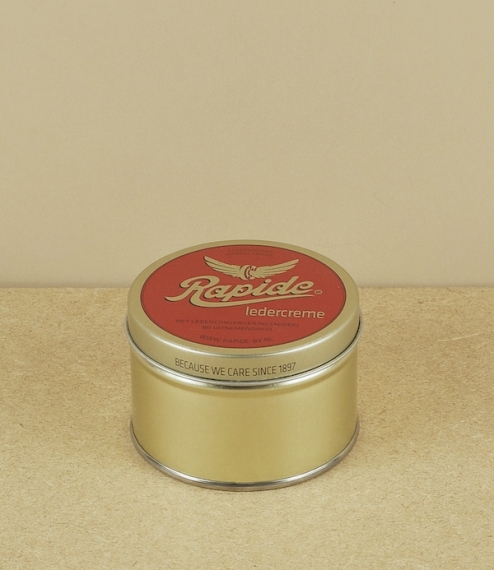 Founded in 1893 Rapide of Haaksbergen, Holland, have long specialized in the production of lubricants and leather care products. 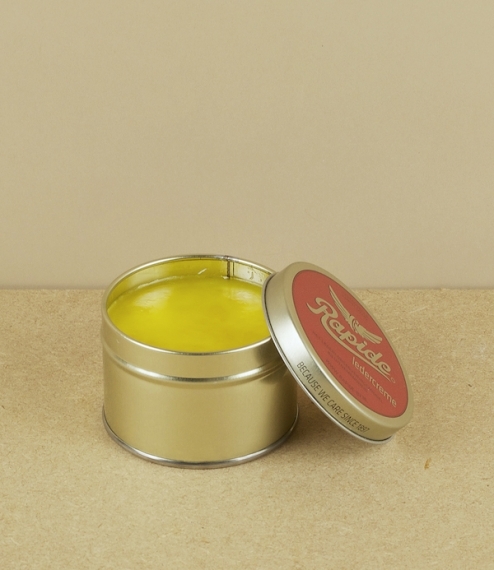 Almost solvent free, with largely consisting of vegetable oils and waxes, the cream is best used regularly and applied using fingertips, so the warmth of the hand can aid its absorption. After a short time any excess can be rubbed away using a brush or cloth. Restores suppleness, water resistance, and finish. 150ml.